Platinum Games is known for making action-packed games that involve split-second reactions. 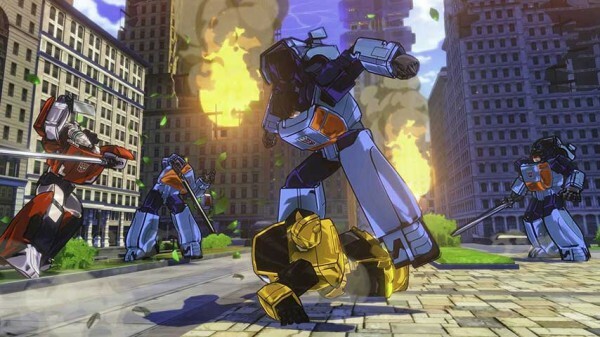 These games benefit greatly from a higher frame-rate, and Transformers: Devastation is no exception. Transformers: Devastation, the upcoming G1-adaptation in the works at Bayonetta and Metal Gear Rising developer Platinum Games will run at a stable 60 frames-per-second on PC and new-gen platforms. As for the Xbox 360 and PlayStation 3 versions, producer Robert Conkey confirmed to DualShockers that it may dip below that. More good news for the PS4 and Xbox One versions, as they’ll both be running at 1080p resolution. As for older-gen, 720p is the current target. Devastation was announced at E3 and looked really good. Let’s hope it’s more like Metal Gear Rising/Bayonetta and less Legend of Korra.